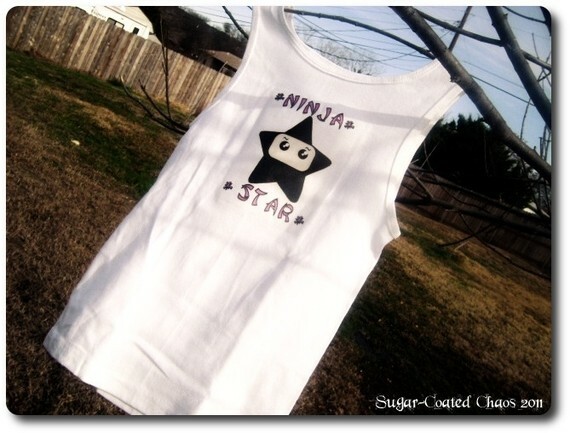 I want you all to take advantage of the Ninja shirts that will be expiring very shortly. I slashed the orignal prices for you also not only the prices of my shirts been slashed so has the ninja pendants. Go now and order you some ninja accessories while they are still available! Dont forget to look for the coupon code in the introduction for your additional savings coupon! This white tank top is a size SM 5-6 IN little girls. Special instructions: Wash in cold water inside out and gentle dry. One of my favorite ninja designs, story behind the design I wanted to bring in some sort of femininity into my favorite art of ninjas. I do believe ninjas can be girly and flowery while still be deadly at the same time. My design was placed on a cotton black FITTED TEE with iron on transfer sheet. Special washing instructions: Please wash in cold water, inside out, then place in dryer on gentle dry, you can also stick it inside of a pillow case for an extra precaution. This image is placed onto a woman's FITTED TANK top with iron on transfer sheet. 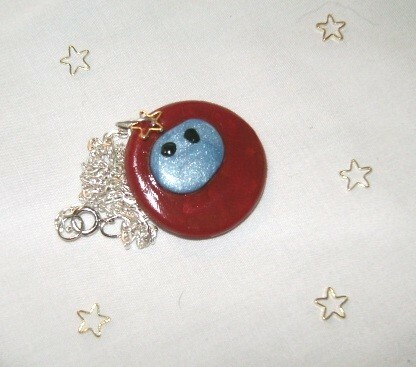 Here is a Ninja pendant made with clay and love, even has a gold "ninja" star attached along with this adorable ninja. This order comes with a free 14 inch silver tone chain. Contains small parts not suitable for small childrens. To my avid fans, please share this with your friends. I would love for them to be sold and shipped to their new owners that will wear them with love instead of sitting in my closet. Thank you.